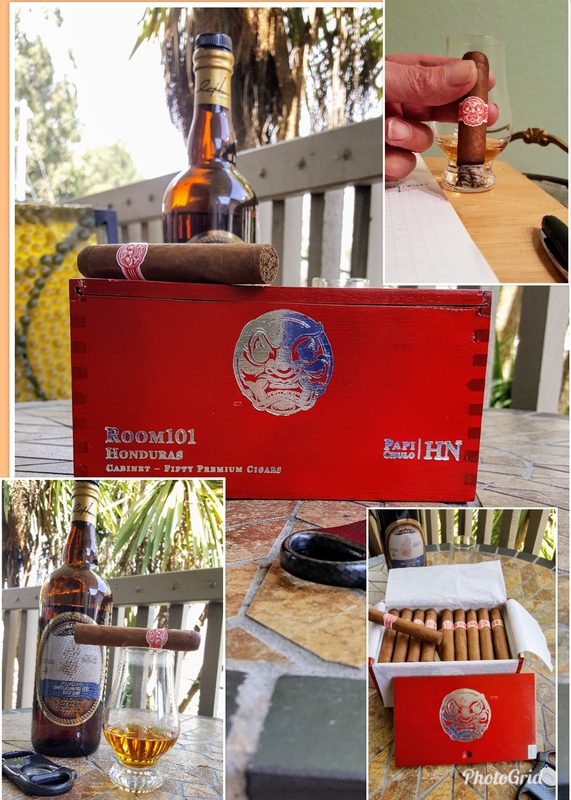 Released in June 2013, this must be one of the Room 101 sticks prior to Matt Booth retiring from the business. I gather he is back now, but will not be re-releasing old blends. So this is one of those rare deals (the only kind I can afford these days). Famous Smoke dumping odds and ends for steeply discounted prices. This 50 count box came out to $3/stick including shipping! 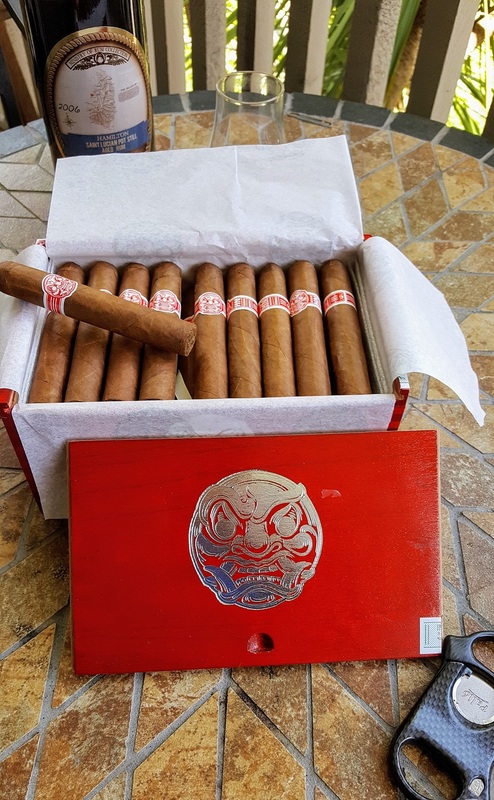 The cigar is a cousin of the Namakubi and Daruma also released in limited numbers with a Papi Chulo vitola. I think this is a less “dry chocolate” (Namakubi) and “vegetal wood” (Daruma) and more light brown sugar sweetness. In any case all three are delicious and I am happy to have this deal. Let’s get to the cigar. Open the box and what hits you is strongly aromatic black tea along with barnyard, manure, and leather. Wrapper color is medium brown, the pack is even all the way around and medium. The stick is not as firmly packed and dense as the Namakubi. The wrapper has a few fine veins, but everything looks very well made. I did a straight cut, draw is superb for me (I like it on the light side) and stays that way throughout the smoke. Burn line stays pretty straight. I made minor corrections on one of three sticks I’ve smoked so far. The other two required none. Smoke output is very good, and stays steady throughout the smoke. Smoke time for me about 50 minutes. These smoke a bit faster than the Namakubi or Daruma which are more densely packed. Flavors: Light on pepper until the final inch when it comes up considerably. Much of it is a charred sweet woodiness or toast and nuttiness combined with leather, brown sugar, and warm baking spices. I didn’t notice a lot of transition. Various flavors came up and dialed back, but all stayed present until the very end when pepper dominated. This is one hell of a great cigar! Buy them if you see them! Another review linked HERE is from Halfwheel. 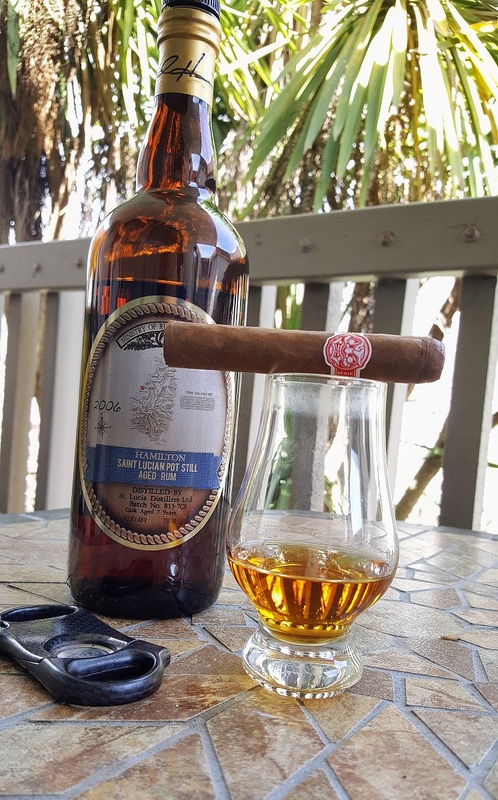 I’ve paired this smoke with coffee (great) and two rums, both having an effect on the cigar. 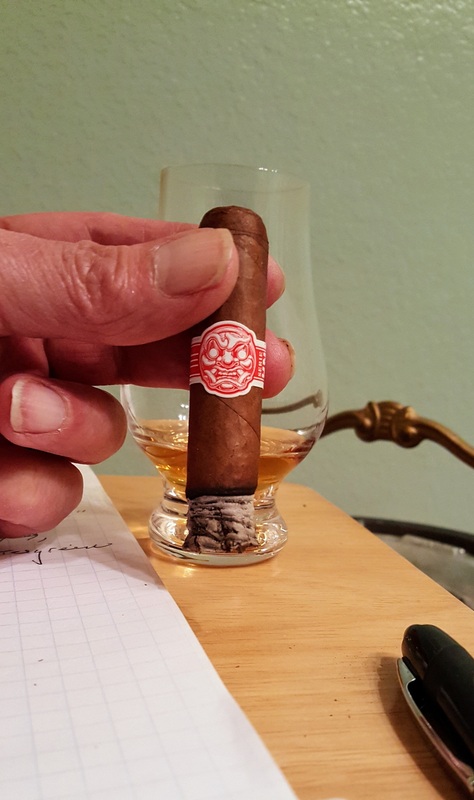 A sweet rum brought out some coffee flavor, and the less sweet rum emphasized the brown sugar notes of the cigar.